New Delhi: Govt. 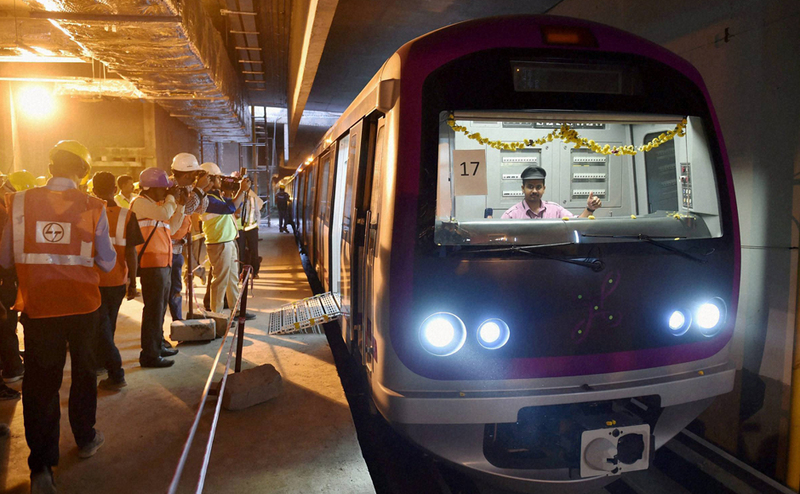 of India and European Investment Bank (EIB) today signed the finance contract for lending of 300 million euros (about Rs 2,293 crore) for Bangalore Metro Rail Project phase-II. Bangalore Metro Rail Project Phase II is to be jointly financed by the EIB (500 million euros) and Asian Infrastructure Investment Bank (300 million euros). “The first tranche of 300 million euros was signed today,” the finance ministry said in a statement. The project relates to extension of East-West and North-South lines for Bangalore Metro Rail which includes a total length of 72.095 km (13.79 km underground) and 61 stations with 12 underground stations. The project implementation period is 5 years from date of commencement. “The objective of the project is to bring in a quantum improvement in the transportation sector in the city in tandem with the Bangalore Metropolitan Transport Corporation (BMTC) and other modes of urban transport,” the ministry said, adding the project aims to ensure modern transport facility for the commuters. As per the release, the spinoffs of the project would include employment opportunities, benefits to the economy, reduction of number of vehicles on road, less fuel consumption, reduction in air pollution, reduction in passenger travel time and also improvement in the aesthetic value of the city.